What is your favorite multiplayer map? As I've gotten older, I've found myself drawn towards online multiplayer games. For me, it's one of the only ways I can get together with friends and family who live hundreds of miles away. Most of the people in my life are into gaming, so it's always easy for us to find an hour each week to sit down and have a go at it in the various amazing spectacular games we play. With my nephew, I mostly play Star Wars Battlefront, with my friends it's usually Mario Kart 8. When I do play private matches with them, we always find ourselves returning to the same levels, the same tracks, the same multiplayer maps. We all have our favorites, and that's what I wanted to know from the Destructoid staff this week. So I asked them what multiplayer maps, from any genre that isn't racing (I'll save that for a future post), is their absolute favorite. There was a bit of fighting over who got to write about one specific level, but as you'll see below, the is quite a wide array of great multiplayer levels from throughout the years. There are so many maps I grew up playing multiplayer with as an '80s-'90s FPS kid, it's almost impossible to pick one. Facing Worlds from Unreal Tournament immediately comes to mind, but I also fragged it out in Duke Nukem 3D's "Stadium" countless times, and had more than a few slobberknockers in Halo 2's Zanzibar. But in the end, I think I'm going to have to go with Damnation from Halo 1. The vertical nature of the map is something that isn't seen in a lot of FPS games today, at least at the level it is here. There's even a Facing Worlds-esque path near a trio of waterfalls, complete with pitfalls, and a rad, dark aesthetic. Objective-based games were a dream with its layout, and having to chase people down in any number of hiding spots without radar wasn't easy. Or maybe I'm only picking it because it's the final "best of five" map that I won a regional Halo tournament on. Probably that. Okay, it's a bit of an obvious answer for older console gamers like myself, but that doesn't change the fact that 75% of the time I spent playing Goldeneye 007 with my best friends in middle and high school was on this map. With its winding corridors, a bevy of doors and well-placed stairways, playing the Facility always guaranteed epic firefights and surprise shootouts. My friends and I all had different strategies in multiplayer and this level seemed to accommodate us all. The camper, the fragger, the run-and-gunner, the suicide-shooter; we were all able to succeed here. I can still remember the many come from behind victories I witness here and to this day I still haven't experienced something comparable to the pure bliss of four Oddjobs having a shootout in a toilet stall. Halo 2 was a pioneer in online multiplayer for consoles, proving that it could not only work but be successful. Having a load of great maps certainly helped its cause. My friends and I spent nearly every waking minute of our junior high school and early senior high school lives in the game. Not only was the intended multiplayer experience fantastic, but a number of glitches made for some fun exploration and good old fashioned trolling. It's hard to pick any single map from this treasure trove of excellent examples that has yet to be matched in the series, but I think Zanzibar encompasses much of the fun had in the multiplayer. It's so good in fact that, like Blood Gulch from the original game, it has been included in multiple subsequent games (albeit a worse version of it). 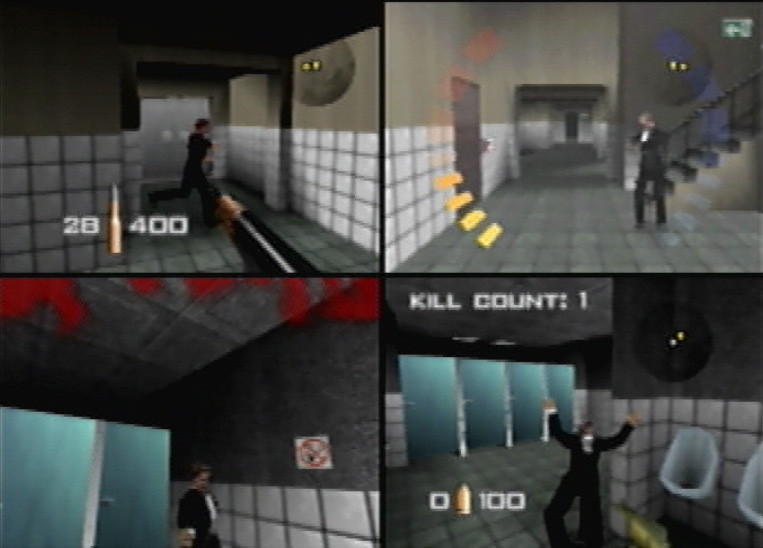 Primarily used for the objective games (capture the flag and assault), the level is designed asymmetrically with one team defending a base that features a door that can be permanently opened, and an attacking team who starts on the beach and must infiltrate to steal the flag or plant a bomb. 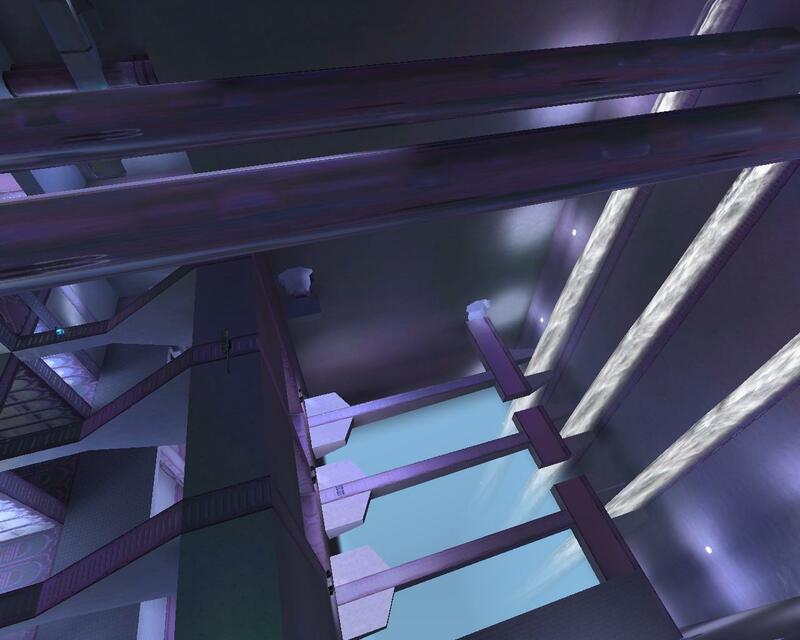 The are many angles of attack including vehicles (which can drive right in and out of the base if someone manages to open the gate), coming in from the second floor near the spinning wheel, or trying to sneak in from the bottom as I did many times. 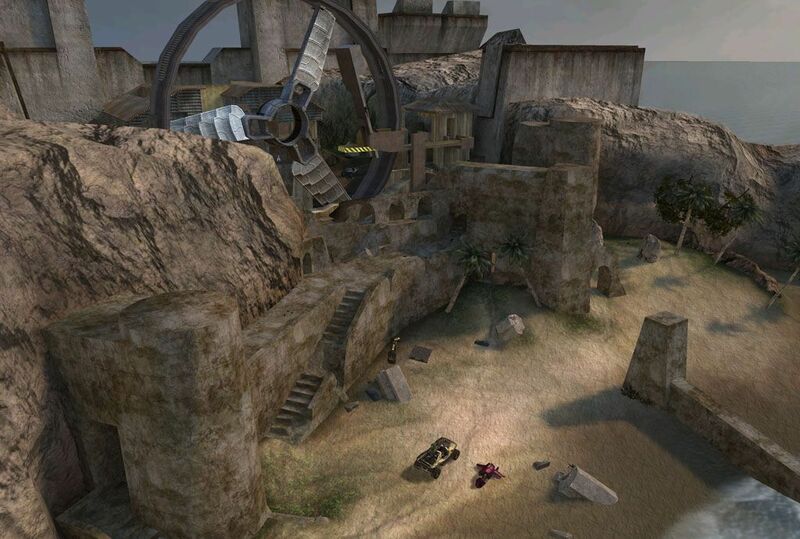 Of course, if you are MLG trick masters hailing from High Impact Halo like my friends and me, you utilized tricks like smashing your friend into a stone slab on the beach with a warthog, hopefully launching them across the map and onto the top of the base which normally can not be accessed. Or maybe you just killed them; that's the risk you take. While not as prominent as in other maps, various "super jumps" or "super bounces" enabled people to reach high places including the top of the base or the centerpiece wheel. It's also quite easy to boost a friend over the invisible barrier with a bomb or flag and wait for the other team to quit, considering for much of Halo 2's lifespan rounds would not end if someone still possessed a bomb or flag. Yes, we were thorough trolls. Even without exploiting unintended mechanics of the game, the level is solid for all game modes. I must reiterate that the asymmetry is exciting and just plain fun; too many games and gamers are so focused on balanced Final Destination style levels to ensure fairness. Asymmetrical levels are not necessarily imbalanced but are almost always more fun. Although it was ignored by the competitive community for its slipping mechanic and overall slower movement, I poured a ton of time into Super Smash Bros. Brawl. Far more time than I have put into the latest iteration, in fact. It widened the scope of the series by a huge margin with its most important contribution: custom stages. Here I didn't have to draw out my stage idea (so I could do more with them than the Wii U version, which was limited by how well you could draw with the stylus), meaning I built all sorts of strange stages. I created one based on my name, and of course, I stole a bunch of designs from more creative people on the internet. Pinball stages, spiked hells, and my forever fave, the Tetris stage. Thanks to the added Tetris: Type B remix music you could put on your stage, and a couple of well-placed blocks, you could pretend R.O.B. 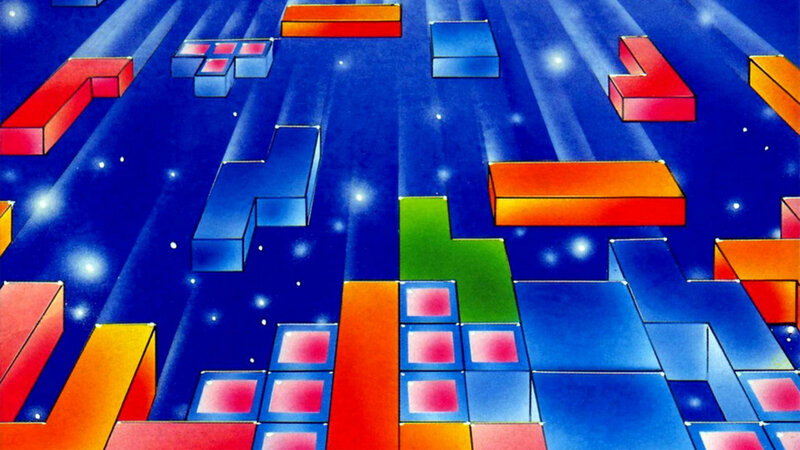 was jumping around a game of Tetris. My friends and I played so much Brawl we eventually had to find new ways to do it. At one point, we'd all choose Kirby, with Sudden Death custom rules (each character at 300% damage), and custom built three super tall pillars. Then we'd race to see who could die first using Kirby's Down-B rock special move. My favorite multiplayer is definitely the custom Tetris one, but I'm expanding my entry to every custom Smash Bros. stage because you can't tell me what to do, CJ. FIGHT ME. I was tempted to pick Splatoon's Blackbelly Skatepark, as it's one of the best maps in shooter history for giving both long distance and close range combatants plenty to do, but that game is still a little too new to make it on any "best of all time" lists. It takes a while to be sure of these things. You don't want to let the honeymoon period cloud your judgment. 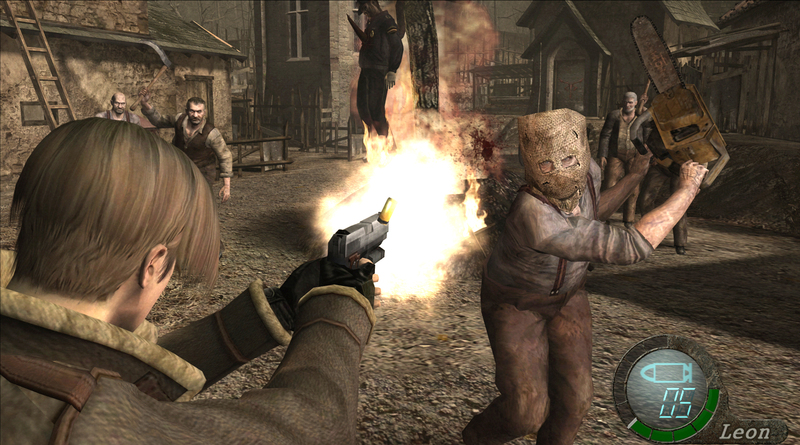 That's why I'm going for The Village map for Resident Evil 4. For a relatively limited 3D space, it does an incredible job of eliciting a variety of emotional responses; suspense, dread, disgust, sadistic joy, confusion, calm, and even laughter to name a few. It plays an integral part in the game's single-player mode, while also being a favorite in multiplayer Mercenaries matches. This one has aged long enough for me to say with confidence that it's one of the all time greats. Unreal Tournament is a game with a lot of tremendous high-points for multiplayer shooters. Along with some rock solid deathmatch, the game included a bunch of other modes and maps that provided a bit of everything for everyone. It was the perfect combination of taking the genre in new directions while still providing a full package for fans that just wanted more Quake style mayhem. There are so many damn good maps that picking just one is a very daunting task. My own personal favorite has to be DM-Deck 16, but it is hard to understate the mastery of design that is CTF-Face. Facing Worlds exemplifies teamwork and multiple playstyles all without resorting to useless tutorials, complicated pathways or a bombardment of text. It is so evenly balanced that winning comes down to raw skill. The set-up of the map sees two towers floating in space overlooking a small, upward curving pathway that leads to each base. The towers themselves have multiple exits for sniping opportunities along with hiding UT's best weapon, The Redeemer. This pathway leads to a blind assault that would often erupt into a gigantic explosion fest as players met in the middle. Running up and crossing the threshold is still terrifying, since killing an entire team before surmounting that hill often results in five guys running straight at you. Snipers can only help so much since the opposing tower could just as easily pick you or your buddies off. 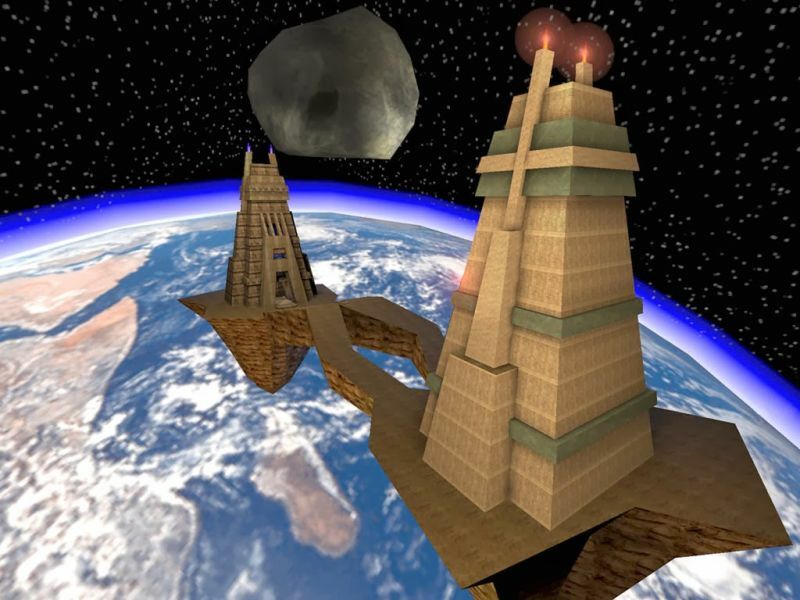 The original UT ended up receiving a "Special Edition" and sequel map to Facing Worlds, but CTF-Face (along with Deck) has made a return appearance in each subsequent Tournament game. While I guess my preferred version would have to be the one from 2003/4 (due to adopting an Egyptian theme), it is always nice to have a familiar place to try out all of the new gameplay variations that each Tournament game brings. I'm sure this will shock some people, but I've been playing a frankly unhealthy amount of Overwatch since its release. Even though it's going to be the most recent game on this list, I've come to really appreciate the effort that went into making sure that each of its maps has something for every character to do. That's no small feat considering the wide range of movement and attack abilities every character possesses. 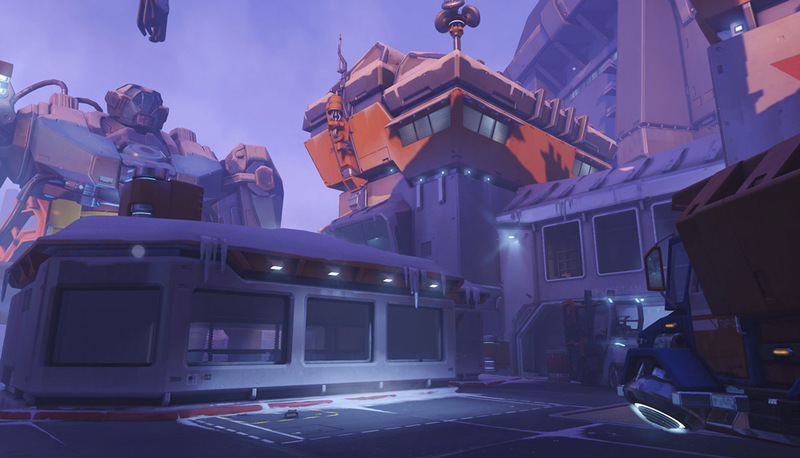 Every map needs a couple of sniping spots that Widow or Hanzo can get to, walls for Winston and Pharah to jump over, chokepoints for Torbjörn and Bastion to defend, flanking routes for Tracer and Reaper... you get the idea. There's a couple of Extra Credits videos that go into detail on how difficult it is to balance a game for this sort of thing. Lúcio's one of my favorite characters to play, and there's nothing more satisfying to me than bumping an enemy off the map. Because of this, I love to play the Well and Lighthouse stages of Ilios, both of which offer ample opportunities to boop enemy players into oblivion. The Greek seaside town that provides the background is gorgeous, sunny and bright with cerulean skies and lolling waves lapping at the white sand beaches far below. It's no wonder that a cruise ship stuffed with tourists sails lazily by every couple of minutes. 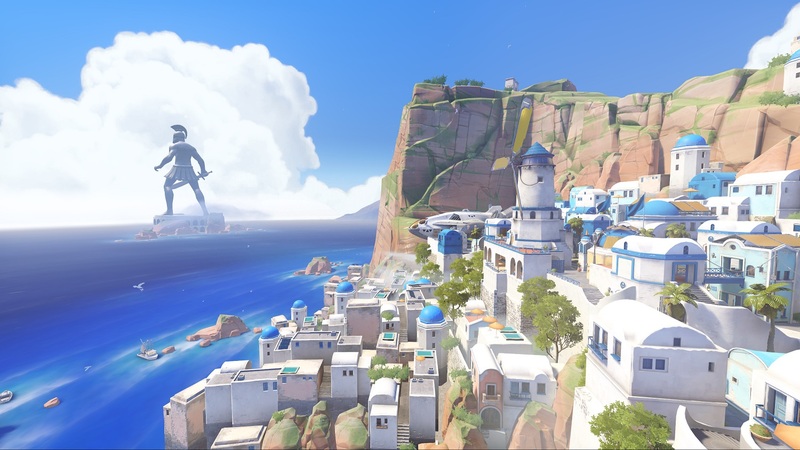 Apparently, Ilios was inspired by the real-world island of Santorini, so you can plan a visit if you're lucky. The map design in Overwatch is top-notch, and every good match I've had comes right down to the end and a thrilling climactic struggle. I've seen defeat snatched from the jaws of victory as winning strategies fall apart at the last moment, and I've also had last-second comebacks against impossible odds. I've really enjoyed getting to know the intricacies of the different levels, memorizing where health packs spawn and the best routes for each character to take. In the end, I feel like that's the best you can ask from any multiplayer map. 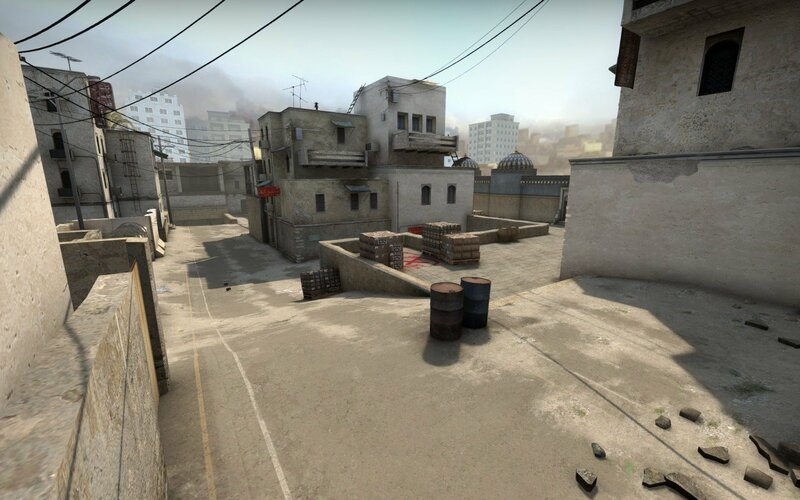 If you've ever joined a random server in Counter-Strike, you've probably played de_dust2. It's not my favorite map in the game, but it's certainly the map I've played the most. Whenever a vote for the next map is initiated, dust2 wins overwhelmingly. Every. Single. Time. You've got to admit that it's very well designed; three pathways, various high grounds, more than one entrance to the biggest areas; there's a lot to consider when approaching any one strategy. To me, and likely many others, this is the eponymous map of the Counter-Strike series, even if I prefer cs_office or de_cbble personally. People just love peeking through the double doors from T spawn or throwing grenades at just the right angle to get a good flashbang. Much to my chagrin, I'll probably be spending the rest of my life playing some variant of dust2. Ignore Patrick up above, because the pivotal Counter-Strike map is de_dust. 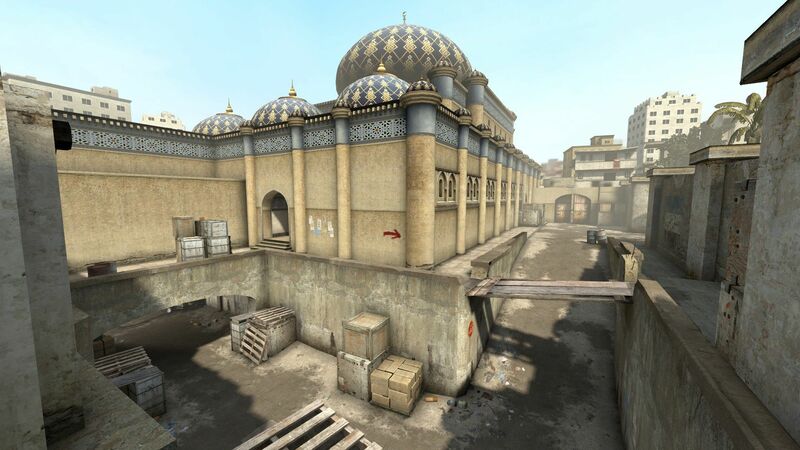 I know this because it is the progenitor of de_dust2 (sometimes I call it "the dust"), but also because it is the map my friends and I played the most in high school, automatically making it better than every other multiplayer map before or since. I still remember it to this day, afternoons spent as a sophomore in Blue Skies, a local internet cafe, playing "Counter," and being terrible at sniper rifles. De_dust is where I happened upon my handle "unangbangkay", because I was always the first to die in a round, bar that one time I managed to surprise half the Terrorist team by flanking them from the bomb site with an expensive machine gun I bought by mistake. The tunnel, being the sole province of my friend who was not terrible at sniper rifles, was no-man's-land when he was on the other team. The inside of the building, rendered in later versions as a mosque, was where the action happened. In short, it's the best because I played it a lot when I was younger. Good times! You can also read a really cool story about how de_dust's creator was totally ripping off Team Fortress 2 when he made the map here. The best days of my high school life were spent peering down the ruined streets of Avalanche in Day of Defeat. 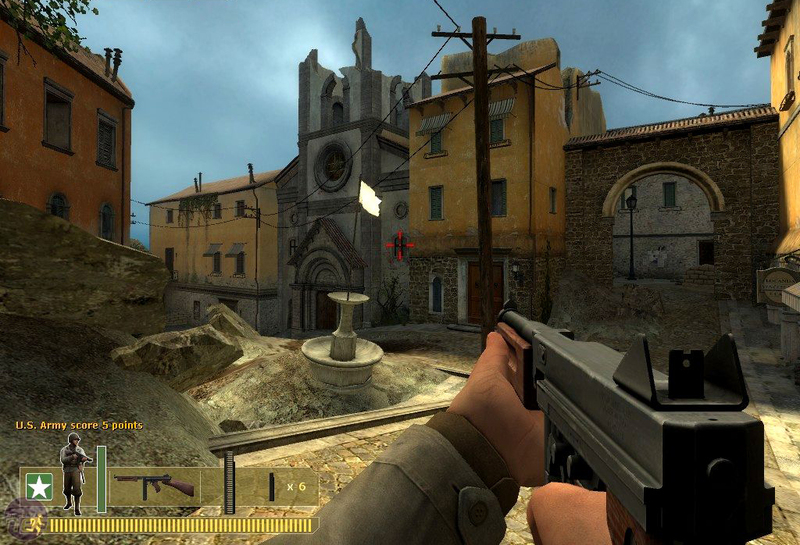 Based on the Italian town of Salerno, and featuring an asymmetrical design that would see the Allies running uphill through the streets and bombed-out remains of quaint European apartments, Avalanche wasn't the best map in Day of Defeat, or the most balanced. It was just the most fun to play, and really, that's enough. Avalanche's greatness to me grew out of familiarity. I spent so much time on that map (I used to play on a 25-hour Avalanche server) that I learned every square inch of it and every damn dirty trick. I learned the absolute fastest routes from the spawn to center cap, the best places to lie prone in the chapel to get the drop on someone, how to game the wonky jump physics to Tokyo drift mid-air from one apartment window to another, diving in on Jerry like some kind of Dogface Superman. I could navigate that map blindfolded. Day of Defeat is a game that's been largely forgotten by time. Overshadowed by the legacy of its contemporaries in Counter-Strike and Team Fortress, and defeated decisively in the market by its rival (and future juggernaut) Call of Duty, it's a footnote in Valve's history. But not to me. I left a piece of myself in Avalanche. I'll always think of those rubble-filled rooms and cratered streets as a distant, secondary home. I've never been much of a person for competitive multiplayer. 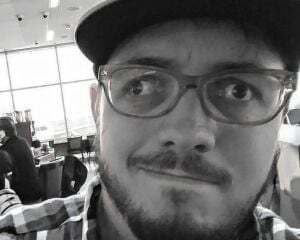 Poor home internet left me out of the Halo multiplayer craze, and I seemed to always lack the competitive drive for Counter-Strike (Even if I share Josh's memories of accidental-machine-gun-flanking). However, Team Fortress Classic played in a local pay-by-the-hour LAN gaming station, would instill in me a love for the cooperative, class-based shooter. This would only be reinforced, years later, with Team Fortress 2. My main memory of both of these titles? The capture-the-flag grind fest that is 2Fort. Nothing epitomizes for me the multiplayer experience more than this map, where every step seems like an eternity since it's almost certainly down the barrel of a sentry or sniper rifle. 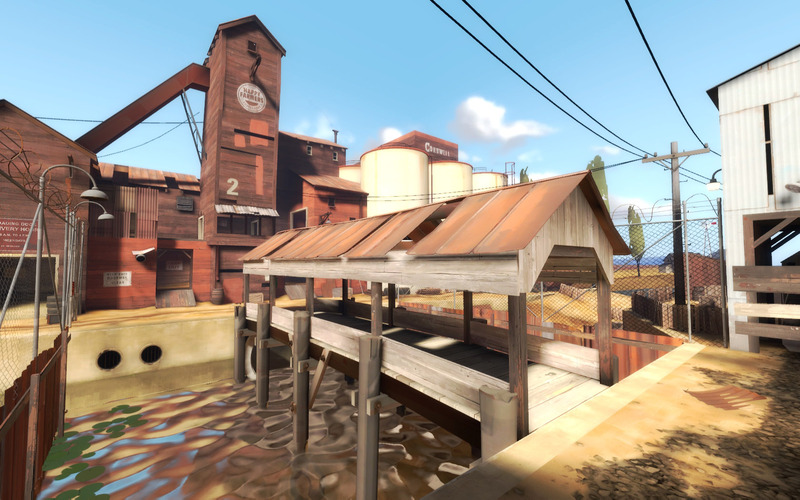 TF2's addition of a roof to the deathtrap of a bridge was a gift from god, a delivery of Scouts, Soldiers, and Demomen directly into the face of the Snipers which had plagued Classic players of yore while opening up the still-cramped map for more ambush opportunities. Even then, on a competently played map, 2Fort was an eternal stalemate broken only by the closest of teamwork. Or, more likely, it was home to nonsense, shenanigans, and trolling the likes of which other games can only hope to compare. There are maps in TFC and TF2 I like considerably better than 2Fort, but it is the absolute essence of a Capture the Flag map, as well as a perfect example of how to improve on a design. So that's the list of our favorite multiplayer maps. Think you know of a better one we left out? Tell us in the comments below.